The RV Saigon Pandaw in better times. Oh dear. Captain Rivers regrets to tell you that one of Pandaw River Expeditions' river-cruise ships, the three-year-old RV Saigon Pandaw, has sunk in heavy seas off the coast of Malaysia as it was being transferred from Singapore to Yangon in Myanmar for the start of its first season of river cruising on the Irrawaddy River. The company says it will refund all booked passengers, or attempt to rebook them on alternative ships. Fortunately there's some good news for this delightful Asian river-cruise company. A Pandaw river-cruise ship on the Irrawaddy in Myanmar. 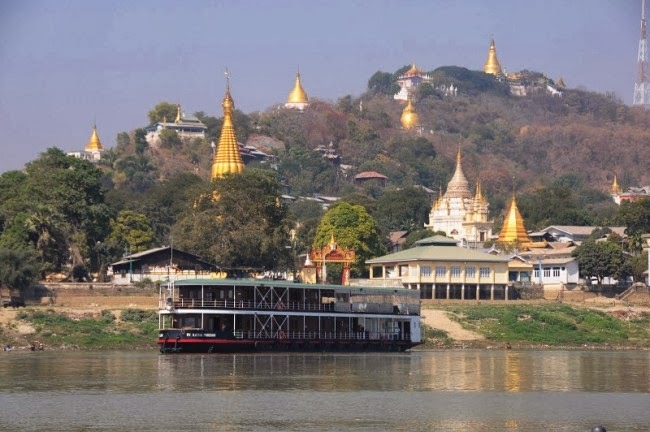 The Singapore-based cruise line has just built two additional river cruise vessels in Myanmar, Kindat Pandaw and the Kalaw Pandaw, slated to launch in July this year. The 40-passenger vessels have 20 deluxe staterooms and promenade decks wrapping around the outside-facing staterooms. The ships will have a shallow draft of less than three feet, enabling the ships to pass through channels at low water levels – a big benefit given that vessels with drafts greater than this have had enormous trouble getting from Bagan to Mandalay during dryer months. The ship join Indochina Pandaw and Orient Pandaw in Myanmar, where the company began its first operations 20 years ago, bringing the company’s Burmese fleet to four vessels, or a total capacity of 200 passengers. 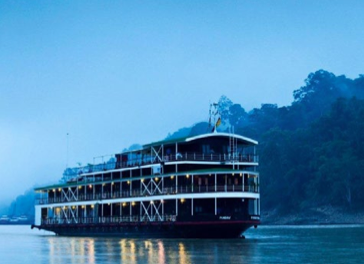 Pandaw operates a total of 11 river-cruise ships across Asia. Have you cruises with Pandaw before, or with another company in Myanmar? Your comments are always appreciated, so why not join the conversation. Nice posting for all. Usually this types of news did not obtain but I got to you which is very variety information for me as well. I must come to you more detail about this and hopefully you will let me one more information about it. Thanks.. The best my trip, I believe that we visited in the North Pole. We were advised to buy a tour on this site https://poseidonexpeditions.com/ships/ . This was not the time to forget. I advise you to go there. You tell it all, and to assure that everything goes well.